Tiny Tim may be your young learner's new best friend. 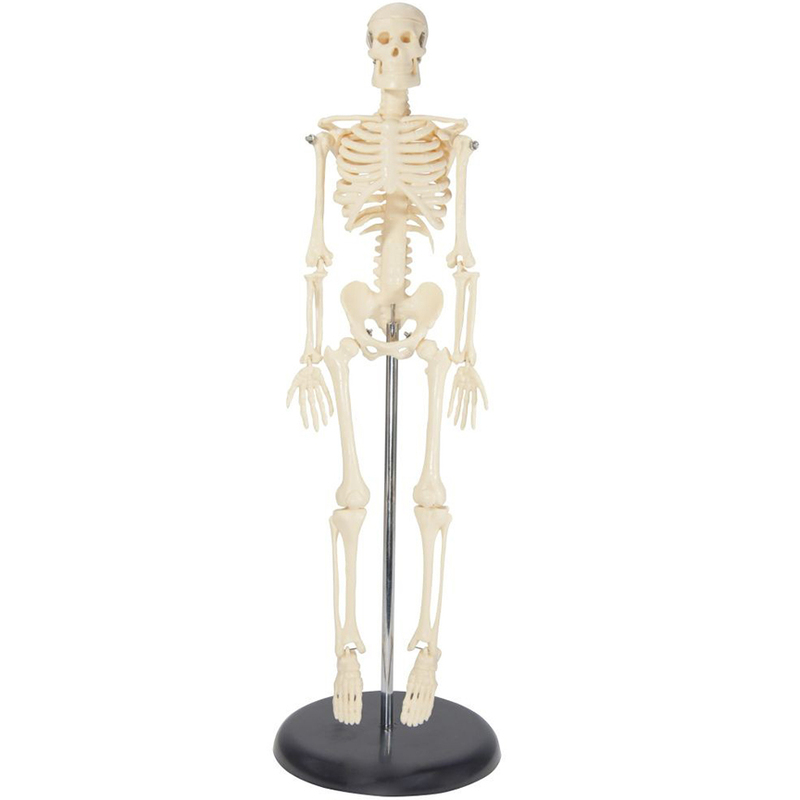 Our most popular miniature skeleton offers a unique hands-on learning experience for young scientists and curious kids who want to learn the locations and shapes of the bones of the body. His special features include a movable jaw on springs, a skull whose calvarium opens for a look inside, and arms and legs that are removable. The hands and feet do not articulate. Tiny Tim is made of durable plastic, and includes a number of anatomical features. Best for young learners, or for a great desktop accessory. We do not recommend this model for advanced study. Includes educational key with 48 labeled structures, as well as a stand. Tiny Tim measures 16 ½” tall. Made by Anatomical Chart Company.